A company that left dangerous contamination on portions of a tract of land in Green Cove Springs, and the developer it wants to sell the land to, face continued opposition as they head before the Clay County Board of Commissioners on June 26. That company, Solite, its consultant Susan Fraser, and developer Michael Danhour of The Danhour Group are positioned against area residents who oppose any development of the property without cleaning it up first. It's a classic David and Goliath story. So far, those holding the slingshots have been able to inflict serious damage—though without landing a kill shot thus far. Solite, owned by billion-dollar corporation Northeast Solite, operated a plant in the Russell Community of Green Cove Springs, mining clay on the 900-acre property to create concrete-like materials used in drainage and building. Unknown to many, for approximately 20 years, Solite used hazardous wastes in this process. The harmful pollution came to light in the mid-1990s as a disproportionate number of area residents were falling ill or dying. Facing public outcry and media scrutiny, Solite abandoned the property in the dead of one summer night in 1996. Now, Solite is back with a mollifying moniker, Stoneridge Farms, and a plan to sell its site to Danhour for $2 million, which would be placed in abeyance to clean up the contamination at some future date; meanwhile, Danhour would build a residential development of up to three homes per acre, as stated in the requested zoning change. (Many believe the $2 million is insufficient to remove hazardous materials from the site.) The Planning & Zoning Department initially recommended approving the project, but when residents showed up en masse at a May 1 Planning Commission meeting to speak against the development, Fraser convinced them to delay the matter to allow for a community meeting. 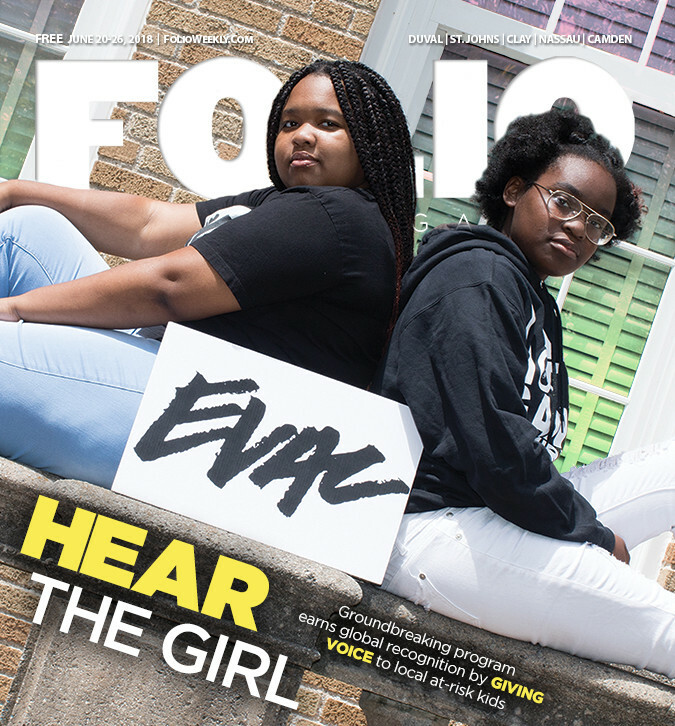 Folio Weekly's May 30 cover story, "Poison Place," detailed the saga. At the May 31 community meeting, Russell residents refused to listen to Fraser, instead offering statements and observations and demanding answers. They asked Danhour what would happen if the $2 million was insufficient for cleanup costs; Danhour said Stoneridge Farms would pay. Someone pointed out that Stoneridge is essentially a "shell company" with no assets. Prompted for an answer, Solite/Stoneridge representative Albert Galliano remained silent. He later said that the company had been a good neighbor in the 1990s, even testing milk from local dairies, which showed no contamination. One longtime resident accused Galliano of lying, saying that Solite had not tested dairies in Russell, but instead went "20 miles south of town" to test. After another silence, Galliano said there was no hazardous chemical dioxin on the property. A resident produced a federal document showing there were, indeed, dioxins there. Yet another resident asked about large amounts of arsenic on the property. Danhour's engineer said "yes," there was arsenic, but a little arsenic is good for you. No one was satisfied with the outcome; residents gave up and went home for the night. Subsequently, the matter came before the Planning Commission on June 5. Again, Russell residents and supporters from outside the area showed up in droves, some sporting signs, all sporting resolve. Several TV stations covered the event. Stoneridge Farms presented first, with few changes to its earlier presentation. Fraser assured the commission that Solite would make the $2 million from the sale of the property available to clean up the property, with oversight from Florida Department of Environmental Protection, which the company had previously signed a seemingly iron-clad agreement to clean up any contaminates. Company representatives continued to refer to the toxic wastes on the property as SWMU (Solid Wastes Management Units), pronounced "SMOOS." They agreed to the fact there was here a smoo, there a smoo, but not everywhere a smoo. Though lengthy and contentious issues are typically placed last on government agendas, possibly to winnow down participants and wear down their resolve, anticipating numerous speakers, Planning Commission Chairman Joe Anzalone placed the issue first on the agenda. Anzalone said he wanted to make sure all had a chance to speak. And speak they did. Some stories were disturbing, others heartbreaking. The underlying theme was trust or lack thereof. Solite, residents reminded everyone, had poisoned the environment and most likely the people of Russell, then left under the cover of night. Several said they do not trust Danhour, or his company. Some noted that The Danhour Group lists a posh Downtown Jacksonville address that it has never occupied; further, that there is no "group" in the company, nor a team, and that it touts projects that were either not completed, or never begun. Residents said Danhour continued to imply Stoneridge Farms would pay for any cleanup more than $2 million; conversely, Solite/Stoneridge Farms said they would not. Others spoke of their distrust for Fraser, particularly for attempting to appease residents by painting a picture of Stoneridge Farms and the developer as honorable and ethical corporations which only want to make their lives better. Still others said they do not trust FDEP or the Environmental Protection Agency. Residents related how both agencies knew about the dangerous toxins at least in the late 1980s, yet failed to intervene. They said FDEP gave them contradicting information and relied, in part, on old testing to call parts of Solite "clean," when they had no idea what lay on or underneath the ground. They said FDEP had allowed Solite to pick testing spots, which made a true assessment impossible. Clay County resident Benjamin Mitts, who said he worked at Solite, gave a chilling statement. "I know firsthand what went on there," he said. "It was never about a product. It was about disposing of toxic wastes." Mitts said he had seen hundreds of gallons of contaminated wastes being poured into the soil. "I've seen the cooling pits dredged out and then dispatched to different areas of the property, then covered with solite, then covered with clay, then covered with sand." He said Solite had a grid where they mapped out where the hazardous wastes were buried. "They know what they moved and where they moved it to." He said Solite had picked out 19 sites for the FDEP to test. "They know where not to test." Mitts said hazardous wastes were shoved into kilns, as thick black smoke poured from the plant. "It was spread all over the Lake Asbury area. I witnessed it, I saw it, I was a part of it and I didn't know any better. This is going to be your 'Hipps Road.' ... Your children will have to answer to what goes on today and in the county commission meeting. If you pass the buck on this and let Solite slide, God have mercy on your soul." Resident Randy Gillis said most folks in Russell want the property restored to its pre-polluted state. However, he said, some believe it would be safer left alone to keep toxins from being, once again, airborne. Gillis challenged the commission and the commissioners to assess the risks to the citizens in his neighborhood in their decision-making process, to see that the residents were protected, and make sure the Solite plant was cleaned up correctly. Tricia Foss, who has lived in the area for 33 years, said she had been to 10 funerals of neighbors who lived on 209B. "Eight of those were colon cancer" which, she said, has sometimes been linked to biohazardous contaminates. Dr. Kristen Burke said in their research, Russell residents had found other Solite facilities that had been forced to close. She presented a letter dated Oct. 29, 1999 from the Health and Human Services to citizens around a North Carolina Solite plant. The letter advised residents who had unexplained symptoms to contact their doctors. The letter recommended they request a 24-hour metal profile and pulmonary function test as initial tests. "Why weren't the people here ever given this information?" she asked. In contrast, Dr. Burke said Russell residents did have faith in the planning commission and the board of county commissioners. "We trust you to use your positions to force Solite to clean up the toxins they left behind that killed our neighbors and made so many sick. We trust you to keep us and our families and our future generations safe and we trust you not to bow to the money, power and politics of this situation. Please do not betray our trust." Then she added tearfully, "Please protect us! Please protect my kids!" Perhaps the most poignant plea came from Christine Robertson. Robertson said she lived next to the plant, unaware that toxins were permeating her piece of paradise. "I swam in those creeks, I swam in that toxic crap. I breathed the air." Then Robertson brought out a large frame with pictures of her son, who was born handicapped in the 1980s. Robertson told the commission she was tested when her son was born, and doctors said his condition was due to "environmentals." She said her son had since died and her daughter had suffered miscarriages. The Planning Commission had asked Bryan Baker, environmental administrator at FDEP, to present. While Baker attempted to clear up some issues, he raised others that further undermined confidence in FDEP. Baker said FDEP had not conducted any "detailed cost estimates" for cleanup and the estimates were just "ballpark figures." He also contradicted statements by several residents. He said Solite was not allowed to pick the sites for testing. "They may have proposed spots, we said 'yeah, those look good,'" he said. "But we did the directing." Baker also pointed out that Solite had never been on the Superfund List. Folio Weekly has several EPA Superfund Lists where Solite's name appears, along with documentation that Solite routinely received shipments of hazardous wastes from a New Jersey Superfund site. However, a representative from the EPA in Atlanta said Solite was never on an official Superfund list. She said the Superfund list was for sites where no party had been designated as fully financially responsible; hence the federal government would bear some or all the cleanup costs. The representative said Solite may have been on these lists temporarily because it had been identified as having "emergency response activities." She said FDEP had to recommend adding the property to the Superfund site list but had failed to do so. Further, FDEP had possibly already designated a responsible party through the RCRA program for the cleanup, so there was no need to seek funds from the EPA. The representative said this contamination happened so long ago, they had no records of what actually happened, so interested parties would have to make a Freedom of Information Request, which could be a lengthy process. Baker volunteered that while Solite was bound to clean up the site, Stoneridge has no money, so it has no financial responsibility. "I can't get into what happened when FL Solite spun off to Stoneridge Farms, 'cause I don't know that story." What he could get into was that in 2006 "the attorneys and managers" at FDEP allowed Solite to "put all the cleanup on to Stoneridge Farms." Baker said FDEP had been "very patient" with Stoneridge because it had no funds, but "eventually patience runs out." In a few years, Baker said, FDEP will "probably reach our tipping point." He said they may go after responsible parties and likely transfer the project into a state-funded cleanup. Then the taxpayers would pay for the cleanup. Baker also disclosed that there had been "overflow of the ponds from time to time, some of the berms leaked ... sent water cascading into Mill Log Creek," which flows into Black Creek. He said Mill Log Creek had dioxin and barium in it. "That's been a puzzler for us. It's difficult to clean up a creek." But, he said, while the "numbers" for dioxin and barium were "above the human health criteria," this was only "for the consumption of fish." He said if one didn't eat the fish regularly, they would be fine. He said FDEP had decided to do a fish study around where Mill Log Creek flows into Black Creek. However, when Anzalone asked about the results of that study, Baker said one had not been done because there were no funds to do so. Asked by Commissioner Belinda Johnson how it could get this far along without FDEP knowing what was going on, Baker said, "We were waiting for the site to have money." Baker also acknowledged that there have not been studies done to correlate the health issues and illnesses in the area to the contamination on the site. He said such would have to be done by the Florida Department of Health, which has done no studies to date. When a commissioner asked Baker if the FDEP was sure the areas it has designated as "clean" were actually tested, he said this designation doesn't mean all the sites have been tested, just that it saw "no evidence of contamination." Commissioner Michael Bourre asked who was responsible, if the sites were built on and later had contamination. "Then it becomes the responsibly of the individual homeowner," Baker replied, to a chorus of gasps and groans. Commission Ralph Puckhaber remarked that he had read the proposal thoroughly and said the way the contract was written, the developer could make approximately $20 million from project, then could conceivably pull out of the site with no cleanup. Puckhaber offered a suggestion. "Let the state clean it up, put a lien on the property, then sell it to somebody ... maybe the county could build a park." Commissioner Robert Machala said he had read the agreement that Fraser, Solite and Danhour wanted the county to agree to and found it lacking. "They don't comply with any of the guidelines because there are no guidelines for accomplishing the project. Show me how you measure me, and I will show you how I perform." Typically a voice of reason and compromise, Anzalone appeared to see neither. He said he believed that Solite never intended to clean up the property since they formed a shell company with no assets and no existence in the state. "I am personally not in favor of putting one house on a piece of property that has any contaminates in that area." Commission Puckhaber made a motion not to accept the zoning staff's recommendation to approve the project. Commission Johnson was in the process of seconding that motion when Fraser stepped to the podium. "We would probably take a continuance ... " she began. "No! Susan!" Anzalone declared. "I'm sorry, we have a motion and a second." The Planning Commission voted unanimously against Solite's plan. The matter comes before the Clay County Board of Commissioners on June 26 at 4 p.m. Though many may feel as Dr. Kristen Burke does, that anyone who has done their homework would never even consider such a deeply flawed project, Clay County is still a place where politics rule, and rules sometimes do not matter. The people of Russell will find out how much they matter to the county commissioners on June 26.